What I am trying to say is, when it comes to building a company, One man show is not enough. Hard working, Smart and Proactive employees are what keeps the company up and running. How a company recruits its employees is a trailer of a film which you only get to see, if you are recruited. And like every other company, we too need employees and have a recruitment process through which our candidates go through before joining us. Now, until this month, we were recruiting in a way, that a regular company does. LinkedIn, Job Portals, Internal Referral Method and some other things. But the results we were getting were not satisfactory for we wanted to fill positions, Fast! But we were not ready to accept anybody just because we wanted right people who would fit in our company’s culture. So, we went for some untraditional method. Now, everybody knows what Email Marketing and Cold Emailing are, and we tried that for our recruitment process. Step 1: In LinkedIn’s Homepage, Go to Me and then Go to Settings and Privacy. Always use the default option of “Fast File only” and then select “Request archive” option. When you select that option, LinkedIn will ask for your account’s password. Step 4: After typing in your password, You will just have to wait. Step 5: Check after some time, it will be ready, and you just have to click on download button. Now, using these steps, you will have a list of names, email addresses and other public information of your LinkedIn connections. You can then put in filters and bifurcated the data into small batches according to the Skills and Positions of the people. We were in dire need of Marketing Personnel and we followed the steps mentioned above using our Marketers profile as they were connected with leading marketers. This hunt for a Marketing Manager was going on for quite some time. When I say quite some time, I mean really quite some time. And we did the trial run of this process with a mission to hire our Marketing Manager. Step 1: Open your Gmail Account. If you are not signed in, you can sign in from here. Step 2: Signup with SalesHandy from here. Step 3: Refresh your Gmail account. Step 4: After refreshing your account, click on the Auto Follow-Up campaign tab. Now this will take you to our Web app. You can skip the last two steps and enter our web app from here too. Step 5: After entering SalesHandy’s web app, Select Mail Merge Campaign option. Here is the detailed guide on “How to use Mail Merge and Automated Follow Up” which will help you further. Of course, we know it like the back of our hand. When I say Campaigns, I mean we sent an invitation email for an interview to around, 200 people who wanted a “Change in Job” and were in Marketing field. And with the first email, we scheduled three other follow up emails too at an interval of 2, 7 and 30 days respectively. After that day, we scheduled more than 10 interviews over the period of 3 days and shortlisted 2 guys and they had their 3-4 more rounds of interviews and we finalized a guy with 4.5 years+ experience in marketing field with specialization in Social Media Marketing. The recruitment team was on the cloud 9 after these results. I mean, after so many efforts and techniques and methods, we finally know what works and gives the results in the shortest way possible. They kept on campaigning and at any given time there are at least 20+ replies in our HR’s inbox. Some Facts: This whole process started on 28th August and we locked our candidate on 7th September. That is like 9 days and all the people in recruitment knows, how it feels like to hire an experienced personnel. They are hardest to get. We are still looking for a Senior Software Engineers with more than 5+ years of experience. And I am sure we are going to hire our Engineer using this method only. Reach Out to More People: Sending campaigns for your recruitment process helps you reach out to more people in a lesser time. 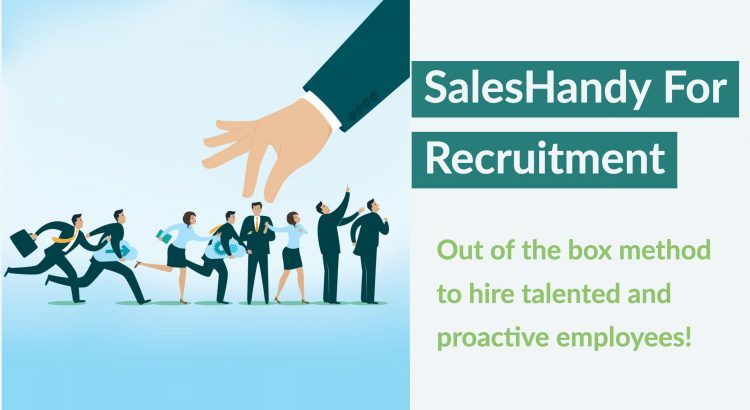 With SalesHandy, the chance of missing out on a perfectly good candidate reduces next to negligible. Get Ahead: With this method, you can get ahead of the other recruiting companies and department as you will have the ace in your hand. Easier Process: This makes the process of recruiting shorter by at least 3-4 steps. The Searching of candidates, their email addresses, contacting and following up with them consolidate in a single step. Schedule More Interviews: Using SalesHandy, you can maintain good Email Cadence and that always lead to better open and reply rate. And with better reply rate, you can schedule more interviews than you did without this process. Hire More: That is a given. With more people being interviewed, more will get shortlisted and more will hired. And you will be adding more value to the company. Where will I get email addresses of possible candidates? You can export your LinkedIn data and get the email Ids from there. How many candidates can I contact in a day? As many as 1600 in a day, if G-suite account. Read Gmail Sending Limit blog to get the better idea of how email sending limits work. Can other candidates see that I have emailed 200 people together? No, they can’t. Our mail merge feature lets you send personalized emails without revealing other candidates and their email addresses. What will I need to do a Mail Merge Campaign? CSV file with Email Addresses and Names and personal messages if any and you are all set. And of course, an account in SalesHandy. Do I have to manage replies in SalesHandy? No. 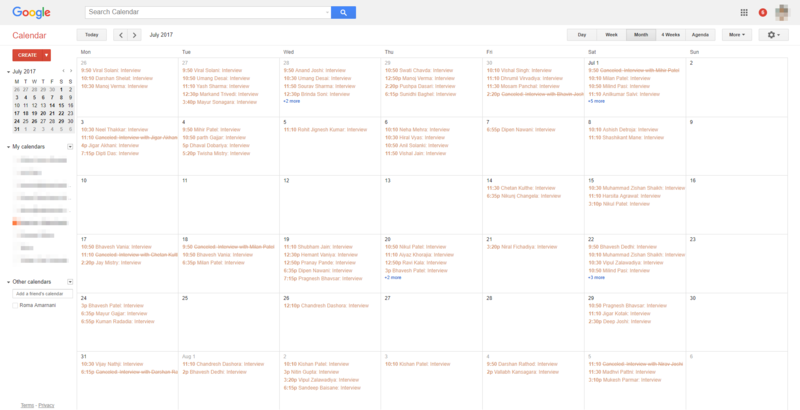 You can manage everything in Gmail or Outlook. You just use SalesHandy to send campaigns. Can I try SalesHandy before I purchase its services? Of course. We offer 14 days FREE trial where you will be able to send out 200 emails in a period of 14 days. Change is the only constant. And we are ready to change ourselves and our recruitment process. Are you? Start Recruiting with SalesHandy Now!